Twenty Cork barbers and hair salons, including Visage, Impressions and ARK Hair Studio in Ballincollig, and Alphasud Blarney, highlighted the importance of positive mental wellbeing and awareness when they took part in a ‘Cut and GROW’ campaign last month in aid of the mental health charity, GROW. 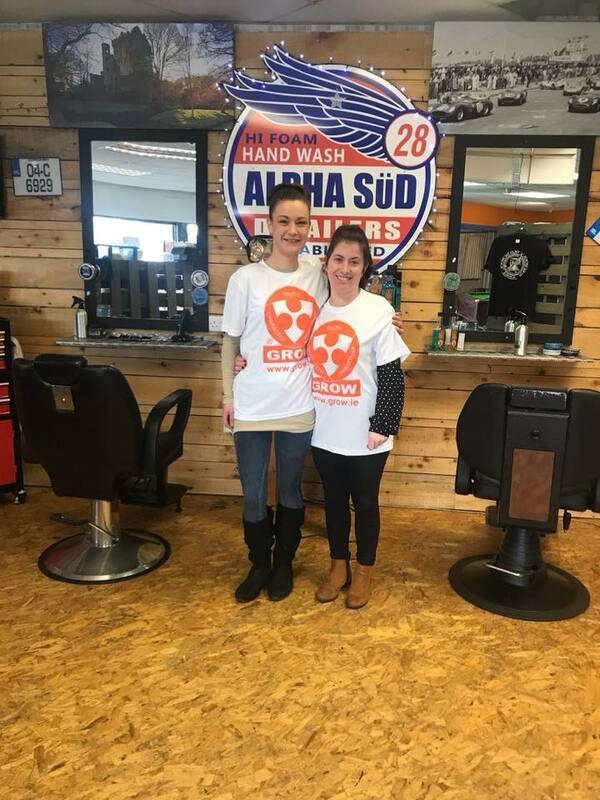 ‘Cut and GROW’ events took place on Friday February 23rd and Saturday February 24th, with an aim of raising mental health awareness and funds for GROW Mental Health. GROW is one of Ireland’s oldest mental health charities and holds 15 free weekly peer-support groups across Cork city and county, as well as free community education programmes. “People chat to their hairdressers and barbers. Going to a salon is a social experience and people often talk about many subjects, including their daily lives and mental health. As a result, they are an ideal setting to show what GROW has to offer in terms of helping people who may be experiencing mental health difficulties or to inform people of the mental health supports that are available to someone that they know, be it a friend, colleague, family member or loved one,” says Susan.